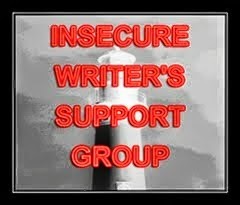 Time for another posting with the Insecure Writers Support Group, where writers can share their insecurities and encourage one another. IWSG was founded by Alex J. Cavanaugh and we share our posts the first Wednesday of the month. The co-hosts for December are: Sandra Hoover, Mark Koopmans, Doreen McGettigan, Megan Morgan, and Melodie Campbell. · I also decided to host a blog hop! Those last two points lead me to my insecurities. I feel like my promotional efforts are a bit inadequate. I am not always the most prompt, reliable commenter with my fellow bloggers. My pharmacy job (another insecurity I will not bring up here) has kept me busy and on edge for the past few months and I don’t always feel motivated to read and comment on the blogs I follow and those who leave comments on my posts. I eventually get around to many of you, especially those who visit, but I feel like I’m so late sometimes :( I apologize for my tardiness and I really do appreciate those of you who continue to follow my blog or visit and leave a comment. One day, I will find that window to escape my current job and embrace writing on a more full-time basis, but until then, I will still have those “off” weeks once in a while. I hope that I can still have a good turnout for my blog hop, so if you have some Christmas memories you would like to share on December 14, please feel free to sign up. I am reposting the linky list sign-up below. 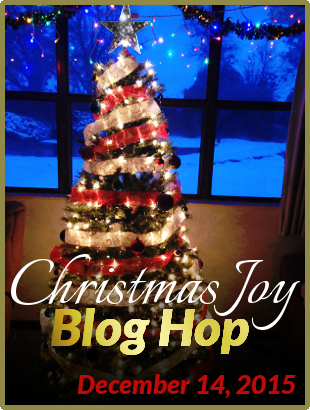 It’s called the Christmas Joy Blog Hop. Share your favorite Christmas memories and what makes Christmas special for you. We even have a nice badge that my brother made :) For more information visit my previous post. Have you ever had insecurities with staying connected? Did well with your writing last month. And I'll post about your bloghop in my next post! Sounds like you've been having a great run! I hope it continues into the new year. Congrats! C.D., I hope so too, thanks! Those are some good accomplishments! Hooray! You've had a good year and here's to an even better one next year. Thanks Arlee, I hope you have a great year as well!